In stepwise program development, abstract specifications can be transformed into (parallel) programs which preserve functional correctness. Although tackling bad performance after a program’s deployment may require a costly redesign, deployment decisions are usually made very late in program development. 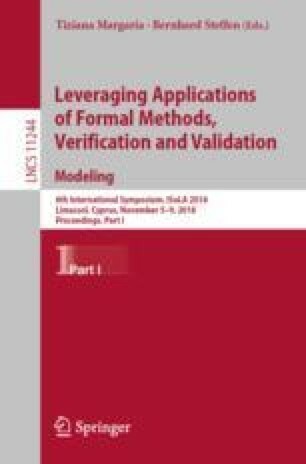 This paper argues for the introduction of deployment decisions as an integrated part of a development-by-construction process: Deployment decisions should be expressed as part of a program’s high-level model and evaluated by how they affect program performance, using metrics at an appropriate level of abstraction. To illustrate such a deployment-by-construction process, we sketch how deployment decisions may be modelled and evaluated, concerning data layout in shared memory for parallel programs targeting shared-memory multicore architectures with caches. For simplicity, we use an abstract metric of data access penalties and simulate data accesses on a memory system which internally ensures data coherency between cores. Supported by SIRIUS – Centre for Scalable Data Access (www.sirius-labs.no).